Anna Kwiatkowska is a teacher in Mielec. While searching for material on Jewish Mielec Anna found our webpage and contacted us offering to take photos and report on the Mielec Jewish Cemeteries. The New Jewish Cemetery was established in 19th century with last burial during WWII (1942). This cemetery is on Traugutta Street. It is located on the outskirts of Mielec about 1 km from the town’s center and the former synagogue. The cemetery is situated between agricultural fields and small private houses and factories and is reached by turning directly off a public road and crossing other public property. Last known burial was in 1942 during WWII. The cemetery was vandalized during WWII. The size of the cemetery before WWII was 800 sq. m; present size is 100 sq. m.
The report from the International Association of Jewish Genealogical Societies - Cemetery Project, dated June 1992 mentions that the cemetery on Traugutta Street has no sign or marker. and is open to all without wall or gate. Some 20 matzevot (tombstones) remain in their original locations. The matzevot made of limestone and sandstone flat shaped stones have Hebrew and Polish inscriptions. Anna Kwiatkowska reports (2006) that the Traugutta Street cemetery is now fenced in and very few Matzevot remain. Anna further comments that it seems the cemetery is rarely visited and it was obvious by the rust of the chain and lock that the gate has not been opened for quite some time. To the south of the monument, 4 Matzevot [tombstones] remain which have barely readable inscriptions. The oldest Matzevot that survived date from 1942 and belonged to Matylda Braun and Rachela Buchen. 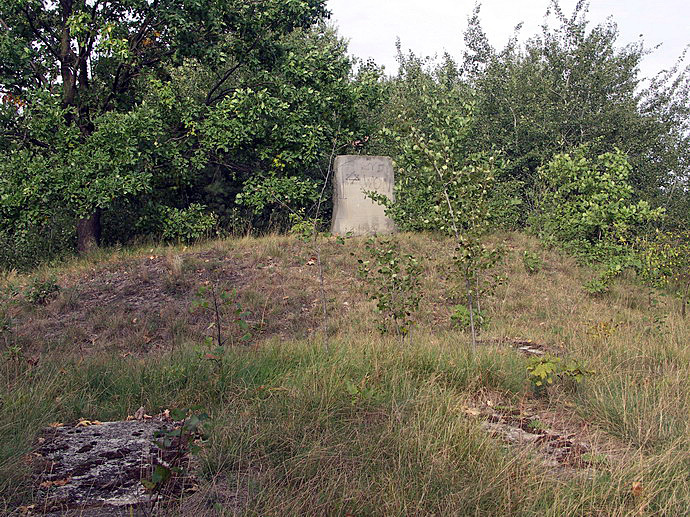 On January 2005 the Foundation for the Preservation of Jewish Heritage reported signs of vandalism and anti-Semitic graffiti on the memorial monument in the New Jewish Cemetery. No further action was taken because the perpetrators were not identified. The Main gate of the New Jewish Cemetery. One of the few Matzevot remaining in the New Jewish Cemetery. One can barely discern the Magen David etched on the stone. Memorial Monument to Holocaust victims. and is situated in the middle of cemetery . View from outside the cemetery fence. Close up of Memorial Monument to Holocaust victims. Anna Kwiatkowska removed the graffiti. Polish inscription on lower part of the monument. 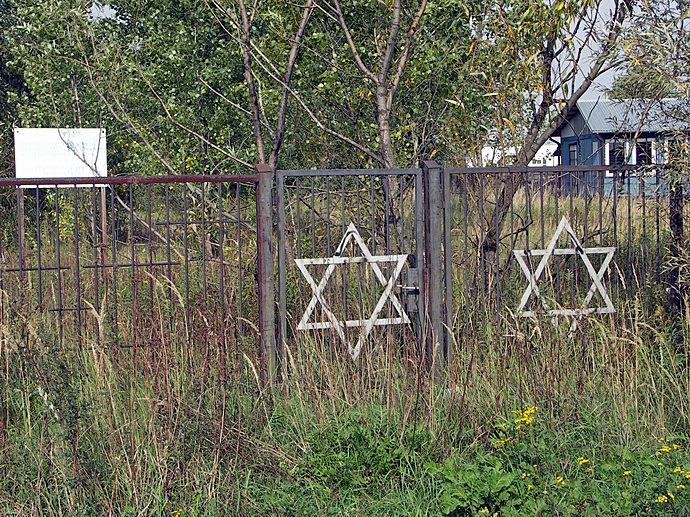 Jewish Cemetery established by theJewish Community of Mielec. Destroyed in years 1939-1945 by Nazis.